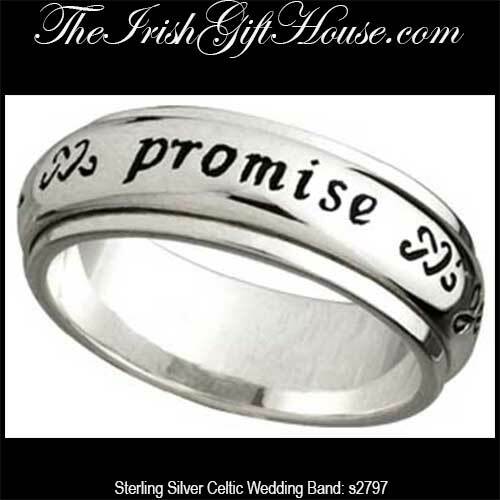 Sterling silver Celtic band features a spinning center that is engraved with the Gaelic word for promise, geall. This sterling silver promise ring has a spinning center that is engraved twice with both promise and geall, which is promise in Gaelic. This Celtic band is a unisex design that is suitable for both men and women. The Celtic promise band is made by Solvar Jewelry in Dublin, Ireland and it is gift boxed, complements of The Irish Gift House.